So far Colleen Rock has created 14 blog entries. $25 to $50 off per load of junk & debris removal - depending on load size. Mention Chamber discount to our call center or call Rita Direct at 480-236-3590 or email me direct: rbrady@rubbishworks.com. The Spa at CIVANA is OPEN!! 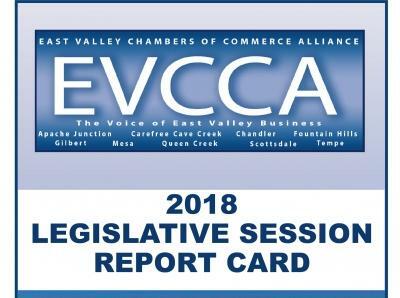 View the EVCCA Report Card to determine how your local legislators voted on issues presented in the 2018 session. Graphics Unleashed offers special pricing for Chamber members! Graphics Unleashed offers special pricing for Chamber members! Gold level service for the price of Silver level - Save $30/month! View the Report Card to determine how your local legislators voted on issues presented in the 2017 session.